Professional scoring system for baseball. It can display the detailed scores and player info. It can be switched to display the live video easily. Professional baseball software. It can record the scores in the match and display the score on the LED screen. 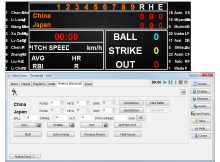 Be used together with Baseball Scoring Software. Modify the score of the team. Operations for Ball, Strike, Out. Must be use together with Baseball Scoring Software. 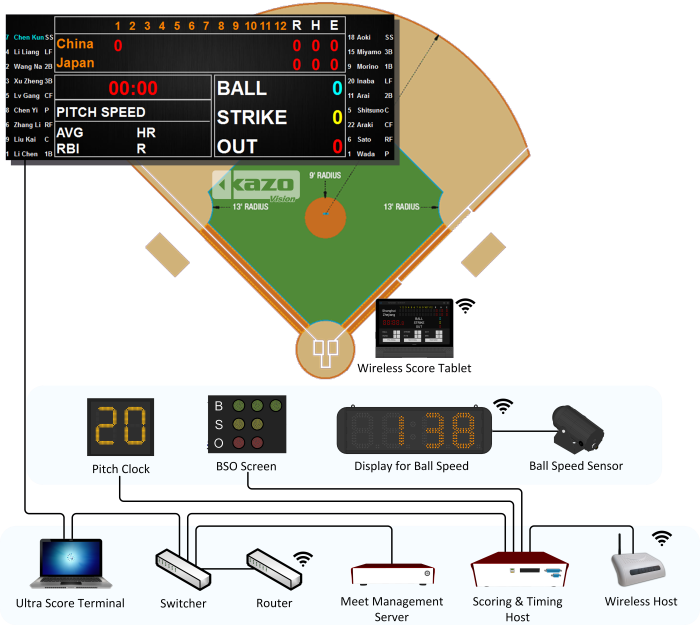 Gather the real time ball speed and display on the scoreboard.